Computers play a big role in our modern day lives and for many is the central hub for social activity, work and research. With improvements to laptop market and the invention net books, home computers no longer have to be big and bulky and as such, we no longer need huge computer desks to support them. Many people are happy with their laptops as their primary home computer and require a small workstation to interact comfortably with their laptops. The purpose of this review's is to compare three computer desks, all at a similar price point to decide which is the best model for the modern day computer user. Uncle Bill's computer desk reminds me of desktop Ikea furniture I bought for my student house when I went to uni. The beech wood finish is very bright but I can't help feeling bored with this one. Clearly designed for bulky desktops, Uncle Bill's computer desk has no bells or whistles but does exactly what you need of a computer desk in a bright and sturdy manner. Crib Ideas black glass computer desk is more like it. There is something about the metallic metal and glass feel of the table and certainly a million times more exciting than the other two on offer. The glass is a lot thicker then I first imagined but this also attracts dust so expect to be dusting this one on a weekly basis. The Mobile Computer desk is a a desk in between the other two. The design is very much similar to the black glass computer desk from Crib Ideas but uses the same beech material as the Uncle Bill desk. Certainly made for laptops, the Mobile computer desk is very 'cute' and compact yet large enough to work comfortably using your laptop. 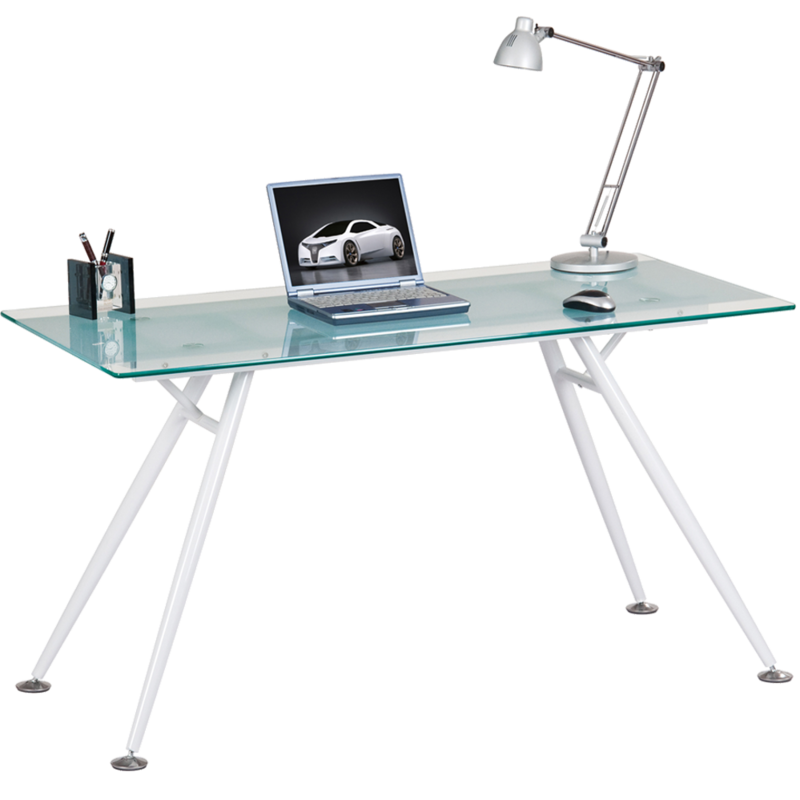 As a laptop user, I particular like the Mobile Computer desk as it is small and light enough to move around the house so I can work under different conditions. The curve design of the keyboard shelf is very comfortable with just enough space for my mouse. I personally like the slightly raised monitor stand on the table top for those who wish to use a monitor with their laptop or indeed plug in an external mouse and keyboard and keep your laptop screen raised. The Crib Ideas black computer desk was perhaps the most difficult to setup due to a number manufacturing errors. I had to re drill some of the holes on the metal frame to fit the supplied screws but once up, this is truly a stunning table. Like the other two desks black glass computer desk sports a sliding keyboard tray and like the Mobile computer desk, it features wheels to move around when required. The best thing about the Crib Ideas table is the black glass and dark metal takes your attention away from some of the cheaper parts of the table, only known by the initial builder as they are hidden well. Uncle Bill's computer desk was not designed to be moved around so once constructed do not expect to move it anywhere without the help of a few friends. This table was the simplest of the trio to setup as it had the least amount of individual parts to screw together and was constructed in less than 15 minutes. There is not a lot of storage or clever compartments to the Uncle Bill computer desk but what it does offer is a sturdy computer desk that can double up as something else as the table top is clear. Uncle Bills computer desk is just too boring and bulky for my tastes and the price, styling and features don't come anywhere near the other two to be in contention. For me it has to be the Crib Ideas black glass computer desk because it looks a lot more expensive than it really is and features the same benefits as the Mobile computer desk while steering away from the traditional wood finish. The mobile computer desk is fantastic for the money and you certainly won't be disappointed with your investment if you decided to go down that route.